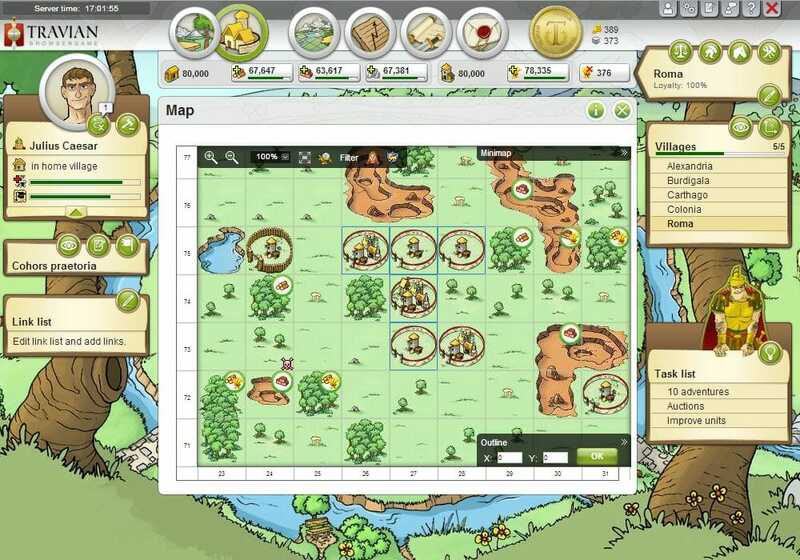 Travian is a successful browser based game in the strategy genre that sees players put in a race against time to build and improve their tribes, make alliances, go to war with each other and eventually build what is called a “wonder” to win the game. 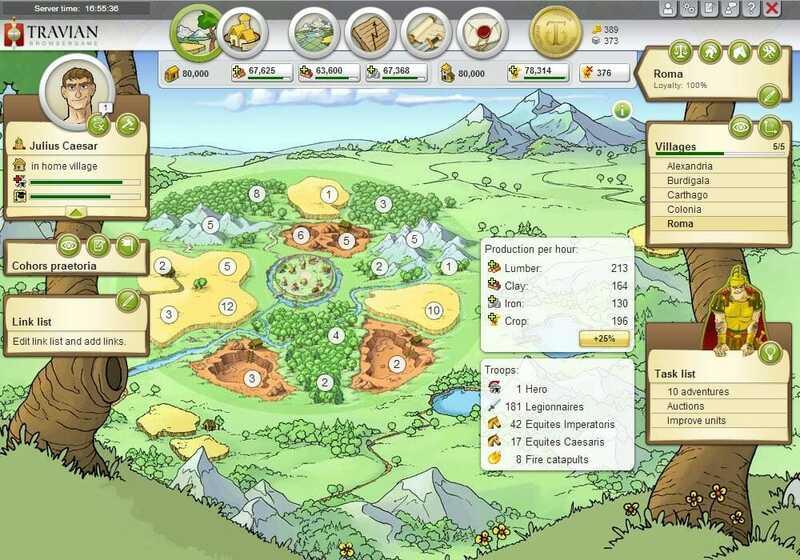 The game was developed by Travian Games way back in 2004 and although it is still pretty much the same game it has undergone many changes since then. The game has grown to such an extent that there are now more than 250 servers located worldwide and they have a player count that exceeds 5 million. The idea is tat each player has the option to start as one of three different tribes. There are the Romans, Gauls and Teutons to choose from with each offering their own strengths and weaknesses. 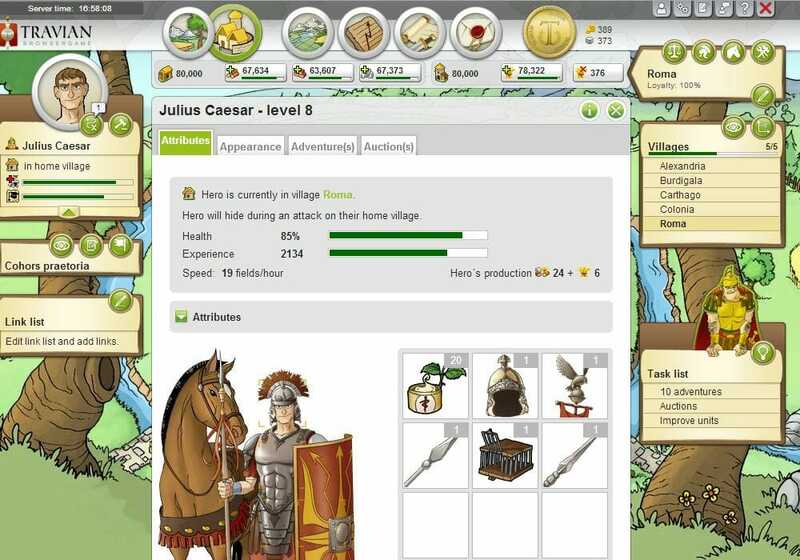 The Romans for example have strong armies and are capable of both upgrading their buildings and plough their fields at the same time but have expensive training costs and small merchants. Whilst building and upgrading their tribe, players have to be aware that they can come under attack by other tribes at any given time. Additionally, it is not just player controlled tribes that they have to deal with but also with the NPC tribes known as the Natars and Natures. The game when played on a normal speed server will last 260 days before the players and alliances have to try and be the first to build the ‘Wonder’. Whilst this construction is being done, both opponent players and NPC tribes will try their very best to slow you down in your efforts. Those that build the ‘Wonder’ first are declared the winners and the game is ended. There are now multi speed servers that allow this whole process to be done far quicker. For instance there is a Speedx3 round that starts with the end game after just 100 days. This variety gives players far more choice if they do not wish to play a round for almost an entire year. The game may sound similar to that of Tribal Wars but whilst they do have certain likenesses they do offer deceptively different gaming experiences. 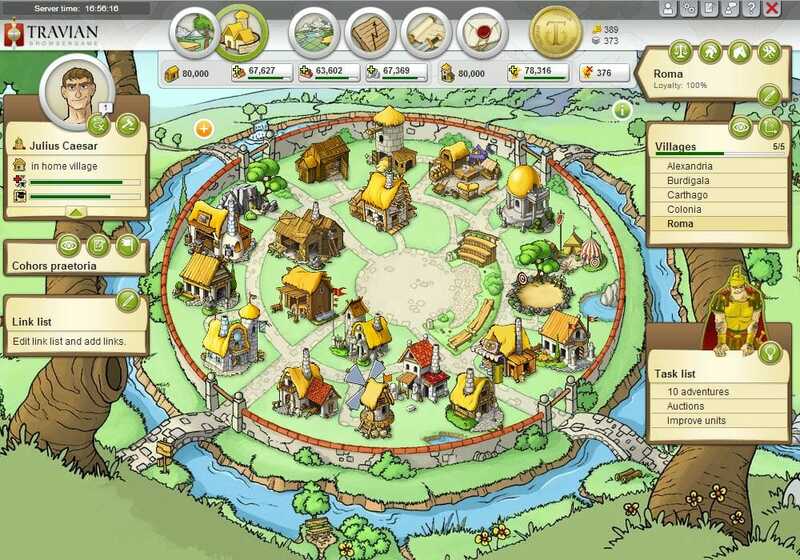 Of course, they are both about grinding and working with your alliance to become the strongest on the map but Travian does offer side quests and other methods to increase gold and resources. There are not many free-to-play browser games that are actually truthfully free and this is one of them. 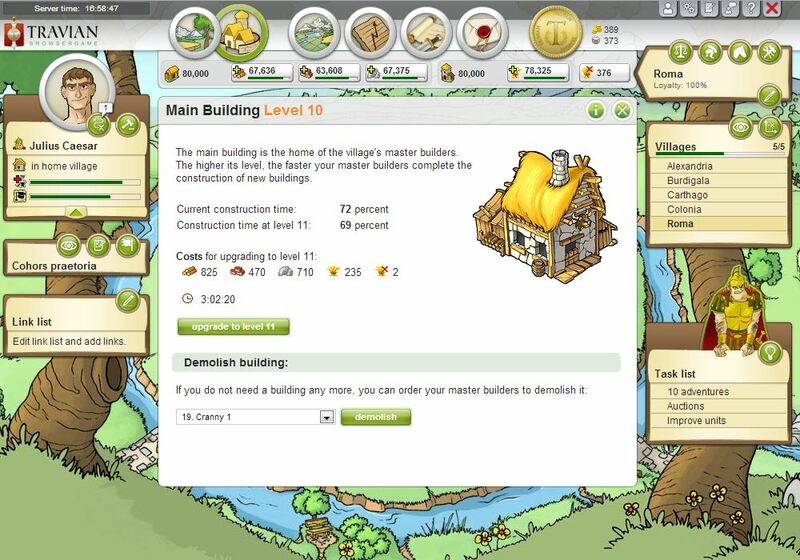 They offer a ‘Plus’ account which is a premium membership that gives players the ability to do things such as build two buildings at once whereas free players can only build one. Gold can also be purchased for real money and used to give increased resource production as well as bonuses to both attack and defense. This again tilts the whole game in the favor of those that pay. Free players can compete but in the end the winners will be the players that have injected some money into their tribes and alliances.